This Honshu Boshin bowie by United Cutlery would be a prized trophy in anyone’s collection! 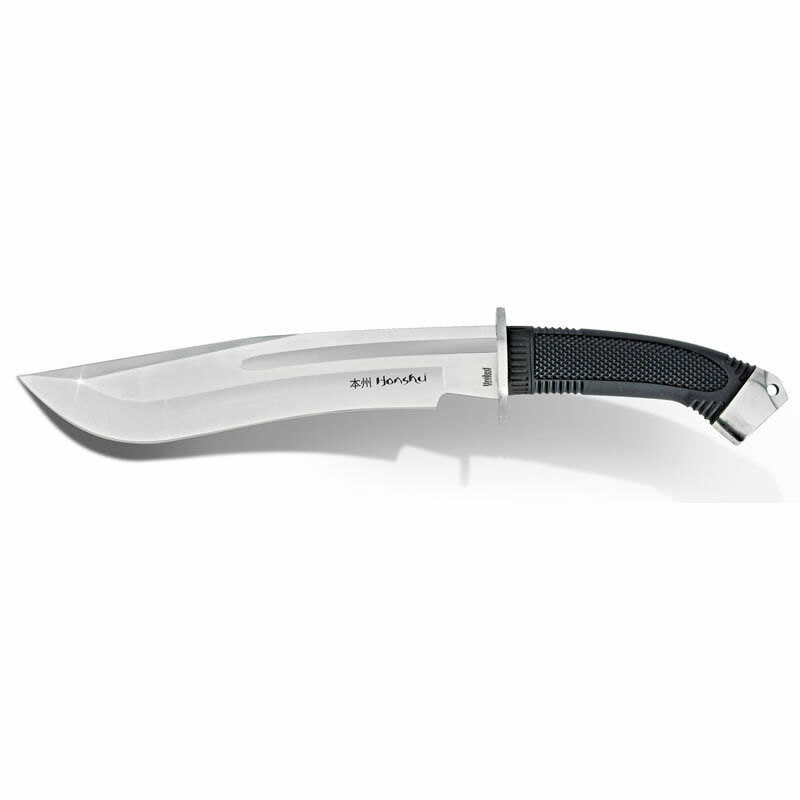 Featuring a full-tang, razor-sharp 7CR13 stainless steel blade with a wicked curve and a deep blood groove, this knife is built for tough use. The rubberized, textured handle is oversized and offers a comfortable, confident grip. A heavy guard and pommel with lanyard hole complete the thoughtful design of this massive bowie. Measures 15 1/4″ overall. Includes a heavy-duty, reinforced leather belt sheath embossed with the Honshu logo.